The Columbia Canoe Journey, Sea2Source, will arrive in Canal Flats, B.C., on Monday, October 28. The intrepid paddlers have traveled 1240 miles from the Pacific Ocean to the uppermost headwaters of the Columbia River, bringing a message of restoration: return salmon above the dams to their ancestral waters. Canal Flats is an extraordinary spot in the geography of the Columbia Basin. 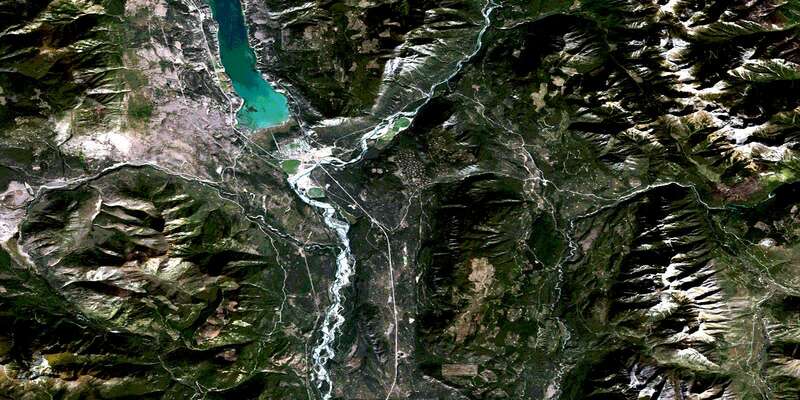 The upper Kootenay River passes by only one mile away from the Columbia, but the watersheds are separate. The two rivers do not meet until after flowing for hundreds of miles in different directions. The Sea2Source canoe journey has published a new video, which can be viewed on their Facebook page, Voyages of Rediscovery.